Here is a pic of my 01' Orange Tx Rat from Dwight Good as well that shows off the same white spot action that is on your Blk Rat. Pretty interesting if you ask me, if even a coinsidence being from the same breeder. 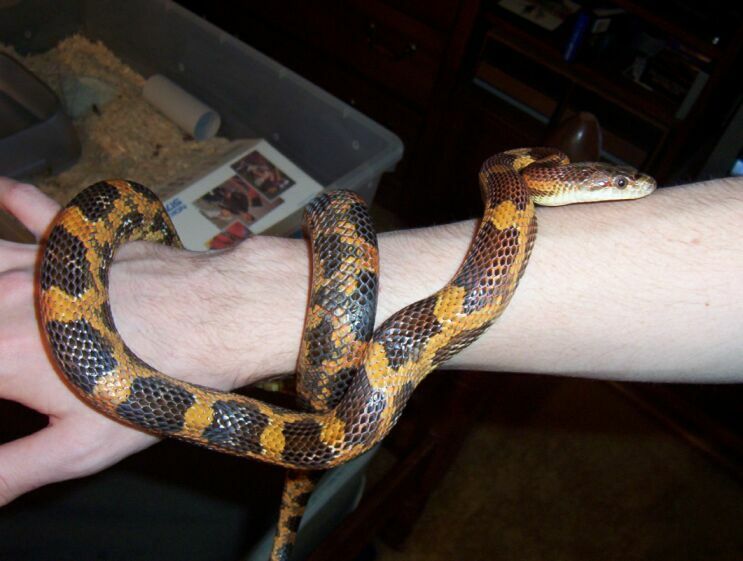 They have been growing larger (relative to the snake) with time. I don't beleive they existed before the snake was a yearling.